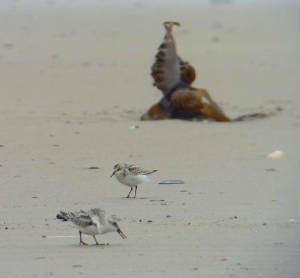 TRAMORE BACKSTRAND: Adult Yellow-legged Gull at Saleen, Pink-footed Goose & 4 White-fronted Geese (2 adult & 2 juvenile) at Lisselan. 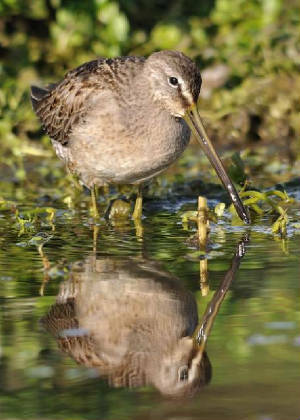 TRAMORE BOATING LAKE: 5 Gadwall (3 males & 2 female). BROWNSTOWN HEAD: Male Blackcap, 3 Chiffchaffs & 3 Swallows. 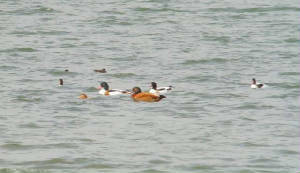 KNOCKADERRY RESERVOIR: 3 female Scaup & 48 Tufted Duck. 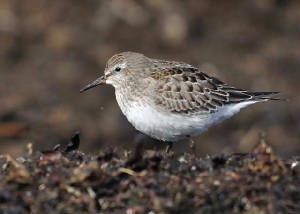 CLONEA STRAND: Juvenile WHITE-RUMPED SANDPIPER still present at Ballinclamper, also a Curlew Sandpiper, Merlin & White Wagtail. BLACKWATER CALLOWS: 24 Whooper Swans at Ballyduff. 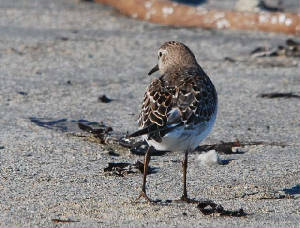 CLONEA STRAND: Juvenile/1st-winter WHITE-RUMPED SANDPIPER again at Ballinclamper, also 58 Sanderling, a Black Redstart & 2 Blackcaps. 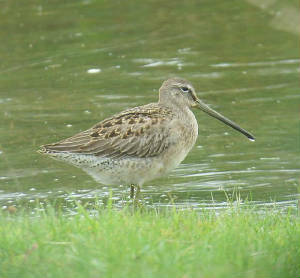 DUNGARVAN: 2 SPOONBILLS off pitch & putt course, adult BLACK BRANT & juv Common Tern at the Cunnigar. 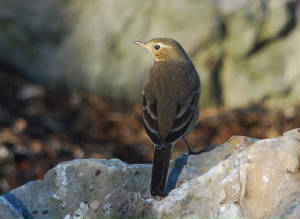 HELVICK HEAD: 7+ Blackcaps & a Swallow. 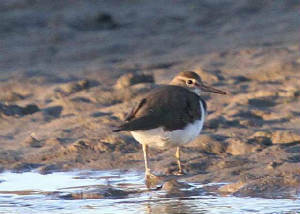 STRADBALLY: Common Sandpiper, Kingfisher & 2 Dippers. Nr BALLYLANEEN: 20+ mixed Swallows & House Martins. 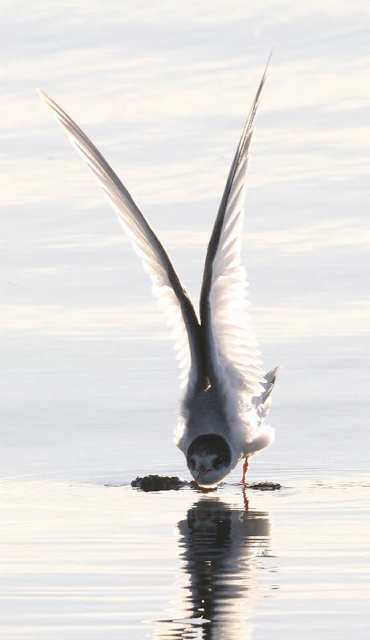 TRAMORE BOATING LAKE: Adult Mediterranean Gull & 3 Gadwall. DUNGARVAN TOWN: 2 House Martins & a Swallow. 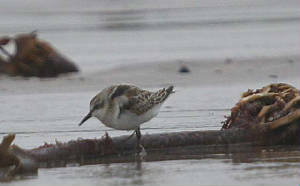 CLONEA STRAND: Juvenile/1st-winter WHITE-RUMPED SANDPIPER still present at Ballinclamper, also Merlin & 3 Red-throated Divers. 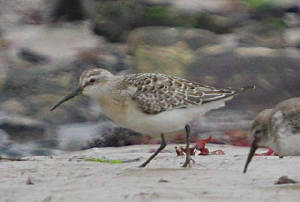 CLONEA STRAND: Juvenile/1st-winter WHITE-RUMPED SANDPIPER, 2 juv Curlew Sandpipers, Short-eared Owl, Merlin & 20+ Choughs. 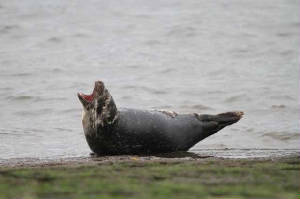 BLACKWATER VALLEY: 130 Whooper Swans & a road-casualty Merlin at Camphire, Common Seal at Villierstown. 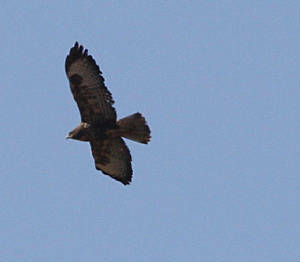 HELVICK HEAD: 2 Great Skuas (seawatch 17:20-17:50). 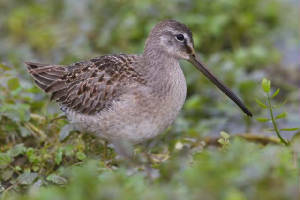 KNOCKADERRY RESERVOIR: 2 female/immature BLUE-WINGED TEAL & 6 Scaup. 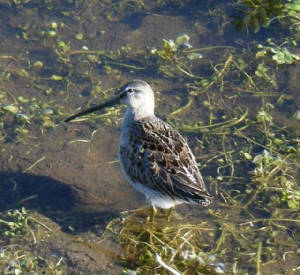 BALLYSHUNNOCK RESERVOIR: Shoveler & 7 Whooper Swans. 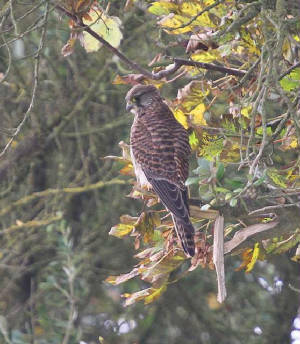 Nr STRADBALLY: Merlin at Carrickahilla. 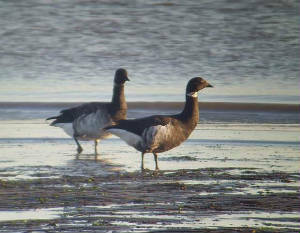 TRAMORE BACKSTRAND: Pink-footed Goose & female Scaup at Lisselan. 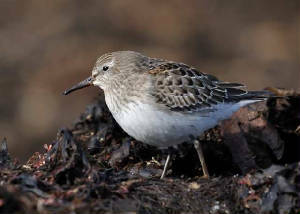 CLONEA STRAND: Juvenile/1st-winter WHITE-RUMPED SANDPIPER (2nd county record), BUFF-BELLIED PIPIT, 2 Curlew Sandpipers, Lapland Bunting (flew over), Merlin, 5+ White Wagtails & Tree Sparrow at Ballinclamper. 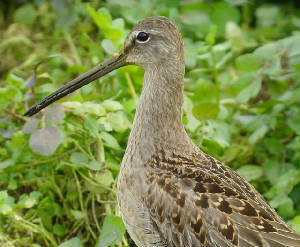 DUNGARVAN: Juvenile LONG-BILLED DOWITCHER (video) & adult BLACK BRANT at the Cunnigar, Kingfisher & Common Sandpiper at Barnawee, juv Arctic Tern at Ballynacourty. WHITING BAY: Clouded Yellow butterfly. 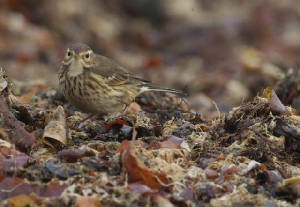 BALLYLANEEN: Redwing & 2 Fieldfares. 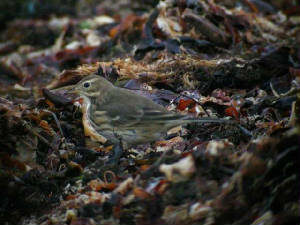 CLONEA STRAND: BUFF-BELLIED PIPIT, 2 juvenile Curlew Sandpipers, Merlin & 1st-winter Mediterranean Gull at Ballinclamper. 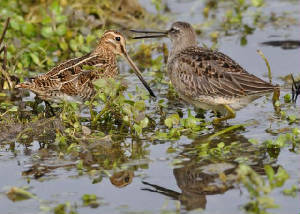 DUNGARVAN: 2 juv Curlew Sndpipers at Ballyneety. 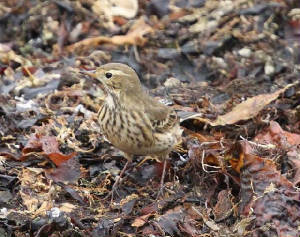 CLONEA STRAND: BUFF-BELLIED PIPIT at Ballinclamper. 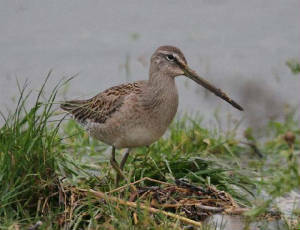 DUNGARVAN: LONG-BILLED DOWITCHER still at the Cunnigar. 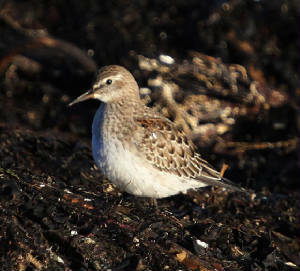 Nr BUNMAHON: Woodcock at Seafield. 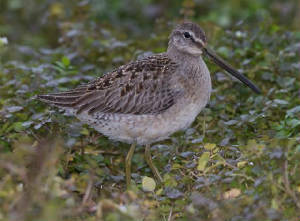 DUNGARVAN: LONG-BILLED DOWITCHER, Merlin & 280 Brent Geese at the Cunnigar. North of DUNGARVAN: Barn Owl seen at 22:45. 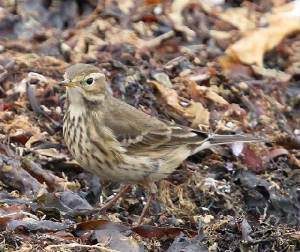 CLONEA STRAND: BUFF-BELLIED PIPIT still present at Ballinclamper, also 3 Curlew Sandpipers. 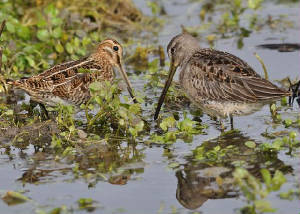 DUNGARVAN: LONG-BILLED DOWITCHER at the Cunnigar, 2 SPOONBILLS & 60+ Little Egreets at Killongford. RAM HEAD: 2 Fin Whales, probable Humpback Whale & 80 Common Dolphins. 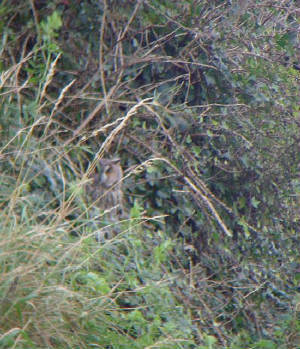 EAST OF RAM HEAD: Short-eared Owl c1 km from shore (details). 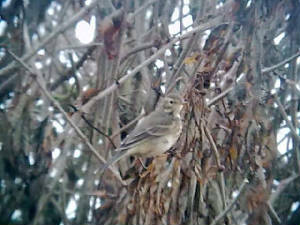 BROWNSTOWN HEAD: 20 Greylag Geese flying over & a Tree Sparrow. 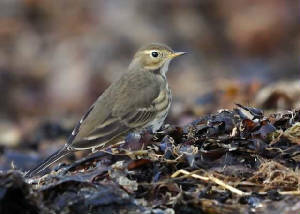 CLONEA STRAND: BUFF-BELLIED PIPIT at Ballinclamper. 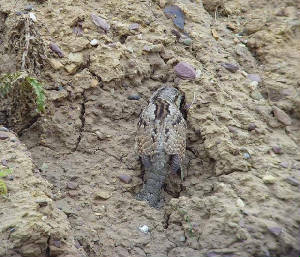 See video © P. Archer. 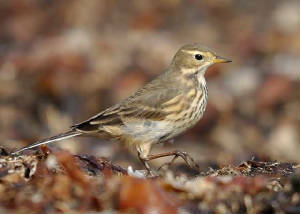 CLONEA STRAND: BUFF-BELLIED PIPIT again present at Ballinclamper, also 2 Curlew Sandpipers there. 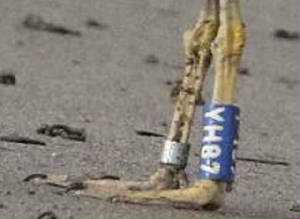 WATERFORD CITY: Barn Owl seen regularly recently. 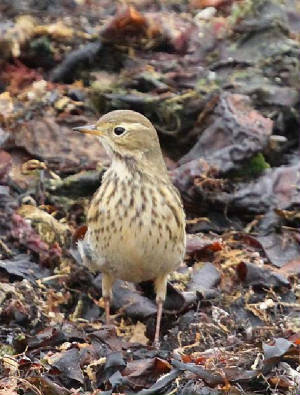 CLONEA STRAND: *BUFF-BELLIED PIPIT (1st county record) at Ballinclamper. 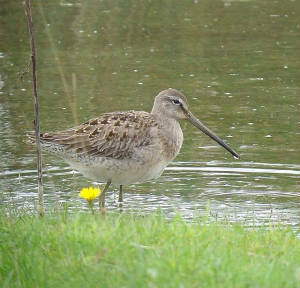 DUNGARVAN: Juvenile LONG-BILLED DOWITCHER & 2 Ruddy Shelduck (probably hybrids) at the Cunnigar, 2 SPOONBILLS at Killongford. 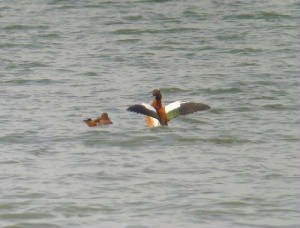 TRAMORE BAY: 2 Red-throated Divers, 2 adult Mediterranean Gulls & a Porpoise. BROWNSTOWN HEAD: 2+ White-fronted Geese, Water Rail, 3 Reed Warbler & male Blackcap; 9 Red-throated Divers west, 4 Great Northern Divers east, 23 Common Scoter west (19 east) & 4 Porpoises (seawatch 08:25-11:25). 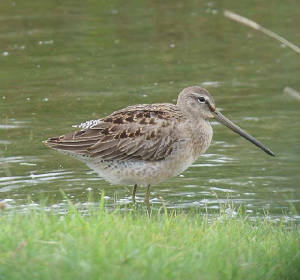 DUNGARVAN: Juvenile LONG-BILLED DOWITCHER, adult dark-bellied Brent Goose, 2 Ruddy Shelduck (probably hybrids) & a Lapland Bunting at the Cunnigar; 2 SPOONBILLS at Killongford including a "new" colour-ringed bird (yellow over green ring on right leg, yellow flag on left leg)..
TRAMORE BACKSTRAND: 314 Brent Geese. 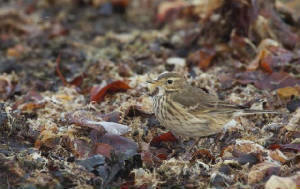 BROWNSTOWN HEAD: Reed Warbler (juvenile ringed), 125 Skylarks, Fieldfare, 2 Tree Sparrows, 6 Lesser Redpolls & 2 Siskins. 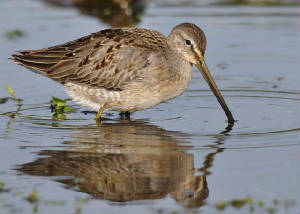 DUNGARVAN: Juvenile LONG-BILLED DOWITCHER still at the Cunnigar. 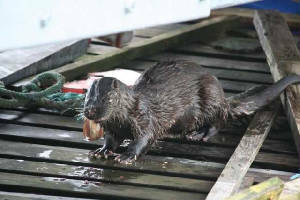 RAM HEAD: 3-5 Fin Whales, 6-8 Bottlenose Dolphins & 20-30 Swallows. 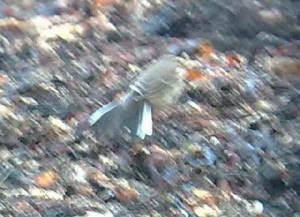 BROWNSTOWN HEAD: Reed Warbler & male Blackcap. 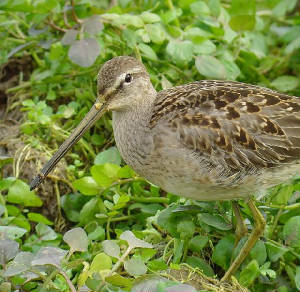 DUNGARVAN: Juvenile LONG-BILLED DOWITCHER (video ) at the Cunnigar. 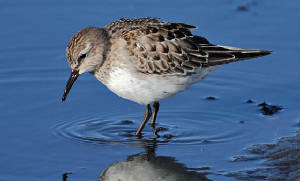 Nr BUNMAHON: 3 Green Sandpipers & 5 Yellowhammers at Seafield. 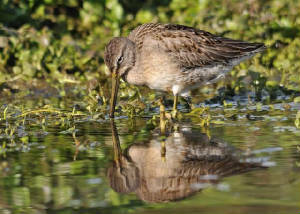 DUNGARVAN: Juvenile LONG-BILLED DOWITCHER at the Cunnigar. 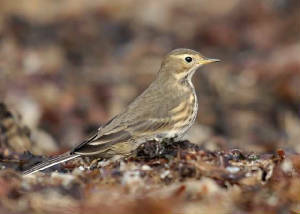 HELVICK HEAD: Female Hen Harrier, Redstart, 2 Black Redstarts, Whinchat, Reed Warbler, Willow Warbler & Pied Flycatcher. 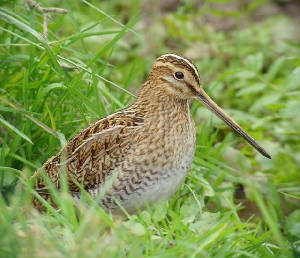 TRAMORE SANDHILLS: Short-eared Owl & Water Rail. 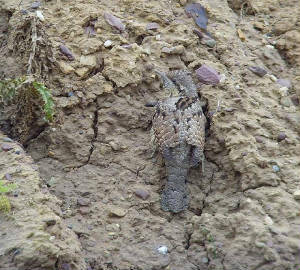 BROWNSTOWN HEAD: 2+ Sand Martins, Spotted Flycatcher, Reed Warbler, 3 Blackcaps, 6+ Chiffchaffs, 6 Tree Sparrows & 2 Siskins. 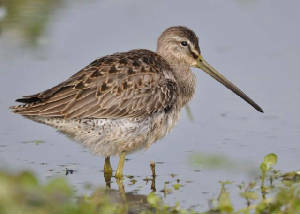 DUNGARVAN: Juvenile LONG-BILLED DOWITCHER still at the Cunnigar, 2 juv Curlew Sandpipers at Western Bay. 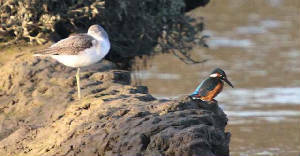 WHTING BAY: 4 Mediterranean Gulls (1st-winter, 2nd-winter & 2 adults). 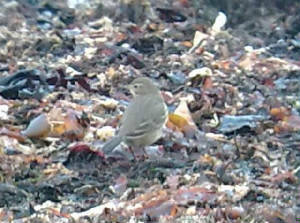 ARDMORE: Whinchat & 2 adult Mediterranean Gulls. 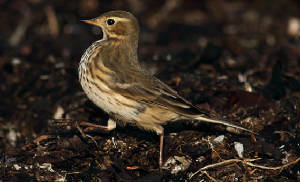 GREAT NEWTOWN HEAD: Redwings heard at night; migrants moths trapped included single Vestal, Gem, Delicate & Cosmopolitan. 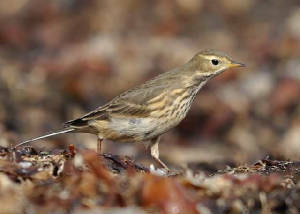 BROWNSTOWN HEAD: Jack Snipe, 2 Red-throated Divers, female/immature Hen Harrier, 2 Wheatears, 2 Pied Flycatchers, 3 Spotted Flycatchers, Reed Warbler, Garden Warbler, Whitethroat, & 15 Lesser Redpolls (ringed). 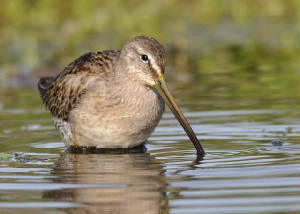 DUNGARVAN: Juvenile LONG-BILLED DOWITCHER (1st county record) at the Cunnigar. 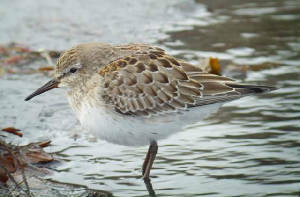 WHITING BAY: WRYNECK, Little Stint, Ruff, juvenile Curlew Sandpiper & 5 Mediterranean Gulls. 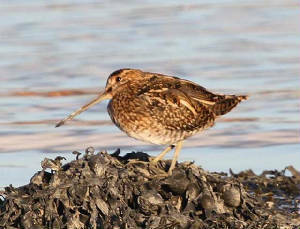 HELVICK HEAD: Long-eared Owl, Arctic Skua, 3 Great Skuas & 8 Common Scoter. 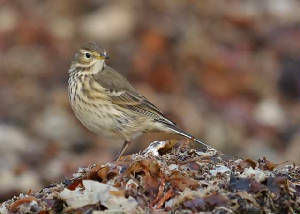 TRAMORE TOWN: Redwing heard at night. 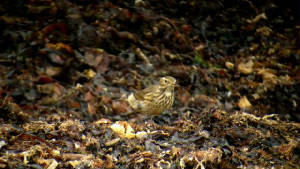 BROWNSTOWN HEAD: Merlin, 20 Swallows (east), 2 Wheatears & 2 Spotted Flycatchers & 14 Red Admirals; 2 Arctic Skuas west (seawatch 17:40-18:20). 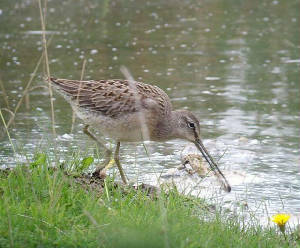 RATHMOYLAN: Female/immature Hen Harrier, 110+ Skylarks & 120+ Woodpigeons. 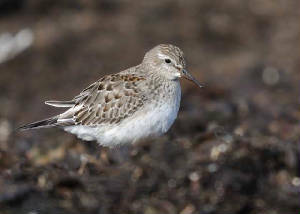 TRAMORE BACKSTRAND: 2 Green Sandpipers at Clohernagh. BROWNSTOWN HEAD: 2 Tree Sparrows; a Vestal moth trapped tonight. 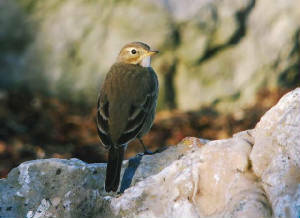 BROWNSTOWN HEAD: Arctic Skua west (seawatch 10:20-11:20). 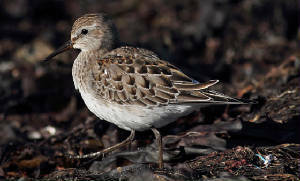 TRAMORE BACKSTRAND: Pink-footed Goose (at Lisselsn), 255 Brent Geese, 45 Little Egrets, a Whimbrel & 335 Black-tailed Godwit. 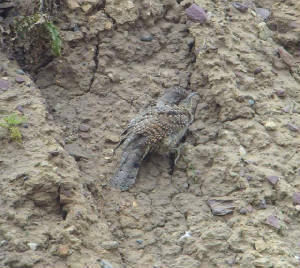 WEST WATERFORD: Long-eared Owl (found dead) & 2 Buzzards. 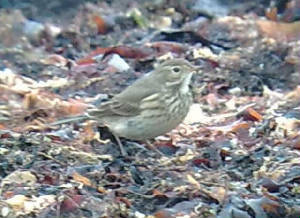 BROWNSTOWN HEAD: Arctic Skua west (seawatch 11:55-12:55) & 2 Tree Sparrows. 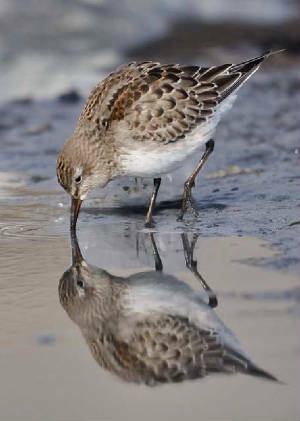 HELVICK HEAD: Balearic Shearwater, 3 Great Skuas, Pomarine Skua, Arctic Skua & Arctic Tern (seawatch 18:00-19:00). 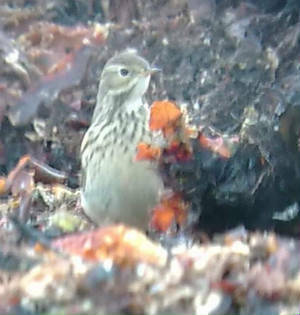 BROWNSTOWN HEAD: 15 Lesser Redpolls (ringed), 2 Tree Sparrows & a Wheatear; 150 Gannets west in 1 hr (seawatch 16:40-17:40); White-speck moth trapped. 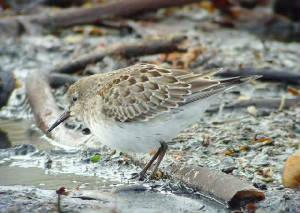 DUNMORE EAST: Juvenile Arctic Tern. 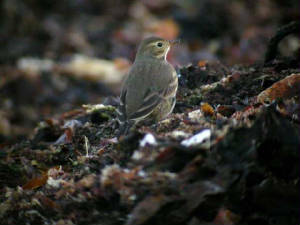 BROWNSTOWN HEAD: Spotted Flycatcher, 2 Chiffchaffs, 45+ Skylarks, 5 Lesser Redpolls, a Siskin & 23+ Red Admirals. 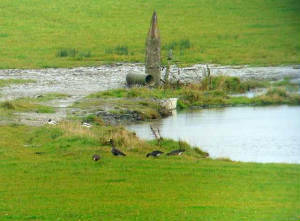 TRAMORE BACKSTRAND: Pink-footed Goose & 130 Brent Geese at Lisselan. 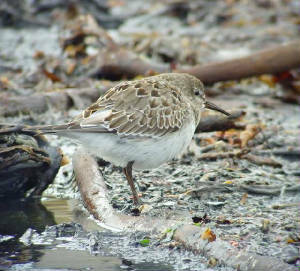 DUNGARVAN: Juvenile Ruff & juv Curlew Sandpiper at Killongford, Kingfisher at Ballyneety. 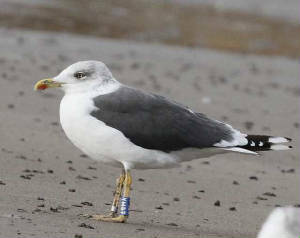 DUNMORE EAST: Adult SABINE'S GULL. 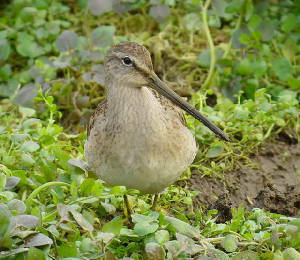 BROWNSTOWN HEAD: Balearic Shearwater, Sooty Shearwater, 103 Manx Shearwaters & 4 Great Skuas west, 4 Arctic Skuas west (2 east) & a Common Scoter east (seawatch 08:05-12:15). 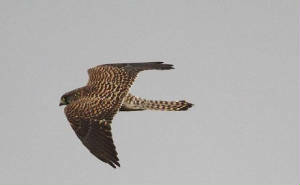 Nr BUNMAHON: HOBBY at Seafield. 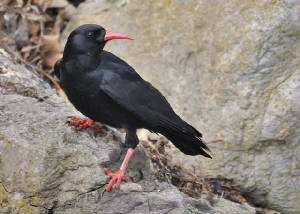 BALLYNACOURTY POINT: 3 Great Skuas & an Arctic Skua. HELVICK HEAD: 6 Grey Phalaropes, 5 Great Skuas, 2 Arctic Skuas, 3 Pomarine or Arctic Skuas & a Puffin west (seawatch c12:00-13:00).